This irrepressible freedom, coupled with a need to live ever more intensely on a knife-edge, is present in Calixto Bieito’s production as in no other. 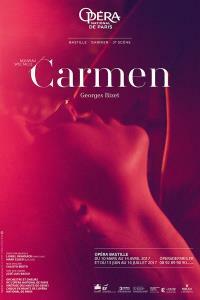 Of Prosper Mérimée’s character, Bieito’s Carmen retains her thoroughly Iberian contours and the burning temperament of a woman who lives by small-time trafficking. However, the rebel bird is essentially a creature of our own times. A brazen and indomitable seductress and a product of social and masculine brutality, she lives life in the fast lane, avid for existence. Sir Mark Elder conducts.